This cookbook has something for everyone; classic and gourmet recipes are included. Breakfast through dessert You’ve Got It Made has got you covered. 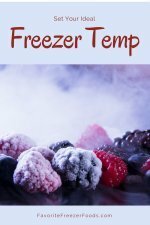 The book starts with a chapter on freezer cooking which is great to see because many freezer cookbook authors hide this vital information at the back of the book where it is often skipped. There is a pantry list, shopping advice about items like parmesan cheese, salted verses unsalted butter and olive oil, sections on equipment, storage and kitchen safety, defrosting and baking frozen foods along with guidelines for safe food storage in the freezer and refrigerator. Scattered throughout the book are ‘Diva Notes,’ little notes about the recipes to make sure they are fabulous ranging from tips on freezing, cooking, using the right ingredients and garnishing. With her from scratch recipes and easy to follow cooking and freezing instructions Diane Phillips’ You’ve Got It Made makes gourmet freezer meals simple. 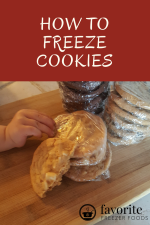 I’m a firm believer that you should make one of any recipe and test it for your family’s approval before spending your time and money making a bunch for the freezer. So I love that this book has single meal sized ingredient lists, but it would have been nice to have the math done for making multiples too. The recipes include directions to make it now or bake it later and many include suggestions for variations. The book also includes a conversion charts for metric and Celsius. The index is well laid out, logical and easy to use. All in all this is a great cookbook to add to any collection. Return from Diane Phillips You've Got it Made to the homepage of Favorite Freezer Foods.